Pressure is added to purified water using the GoFog™ Humidification System which is then dispersed through our advanced atomizing fog nozzles. This generates billions of tiny fog droplets that can be injected directly into a room or HVAC system. This is all done with a small horsepower pump and requires no compressed air. The tiny fog droplets easily evaporate by using the heat energy from the surrounding air. 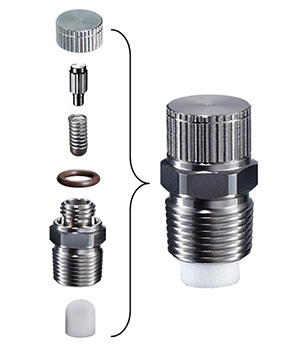 Expertly crafted stainless steel GoFog™ Nozzles with integral anti-drip and redundant water filter provide consistent fog droplets that are less than 20 microns in size. The nozzles are evenly installed on stainless steel manifolds to provide uniform distribution. The GoFog™ Humidification System uses the most dependable high pressure pumps on the market today.